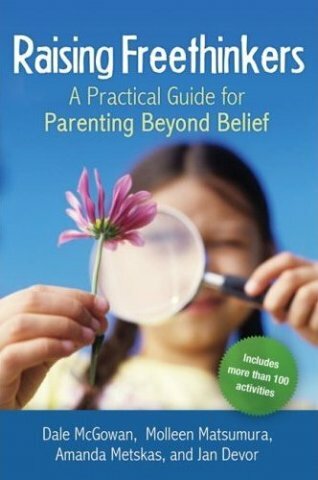 This is a page of links for the resources provided in the book Raising Freethinkers: A Practical Guide for Parenting Beyond Belief by Dale McGowan, Amanda Metskas, Molleen Matsumura, and Jan Devor. Raising Freethinkers is a companion book to Parenting Beyond Belief, a collection of freethought parenting essays compiled by Dale McGowan. Part 2 is here and Part 3 is here. This entry was posted on Tuesday, December 29th, 2009 at 11:16 pm and is filed under parenting. You can follow any responses to this entry through the RSS 2.0 feed. You can leave a response, or trackback from your own site.